It definitely felt like fall in Los Angeles today. When I left the house this morning, it was grey, rainy, and in the 50s. Now I know to most of the country, that is not cold. I grew up in New England, so that’s not really cold to me either. But when you’re used to gorgeous sunny weather all the time, it might as well be snowing. On top of that, people in L.A. freak out when it’s raining. They stay off the roads and leave work early…because it’s raining. I know. Weird. Anyway, I threw a hoodie on over my yoga clothes and turned the AC off when I got in the car. But the people I saw out took it a little further. I saw multiple people in winter coats. Not lying. Like, wool peacoats and down jackets. And hats. Not baseball caps – beanies and stocking caps. Anyway, I already expressed my love for thick cozy scarves, so here are my fave snuggy coats! I love that you can find super warm down coats these days that don’t make you look like a marshmallow! 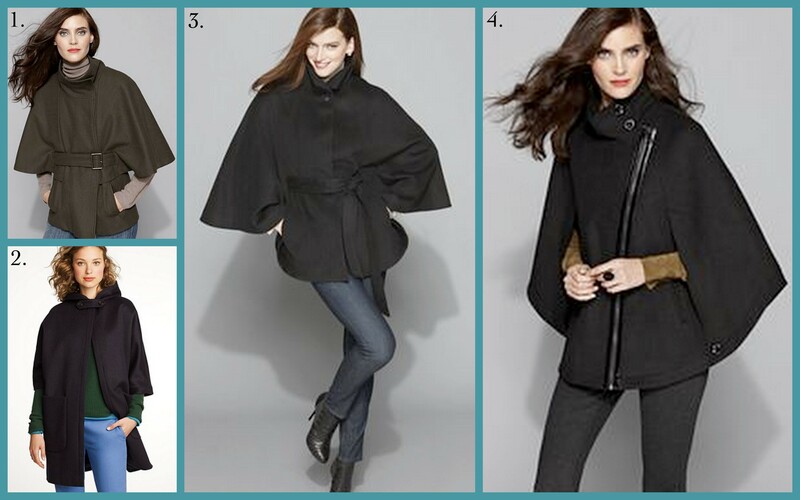 And a trend we’re seeing a lot of this year – capes! 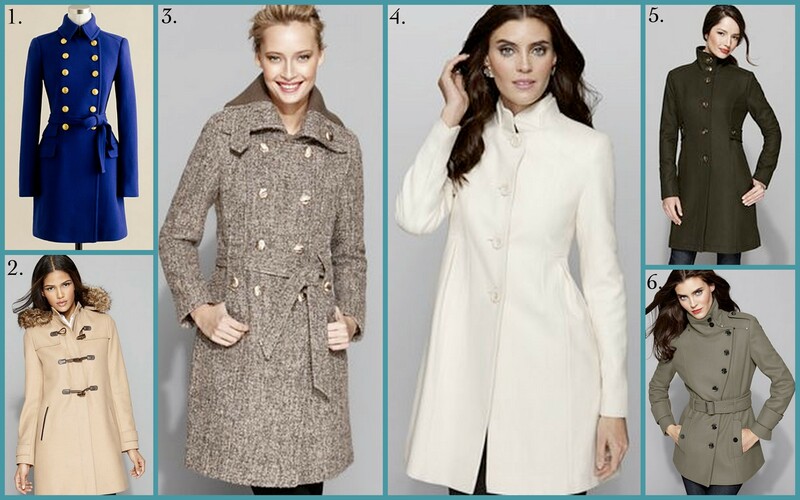 What style coat will you be rocking when the temperature drops? 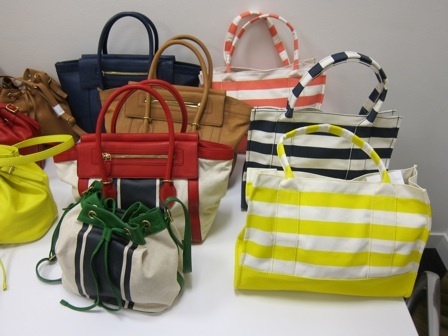 I was surprised at what stood out to me from Glamour’s preview of J. Crew’s spring 2012 accessories – the bags! I’m typically not a bag girl. 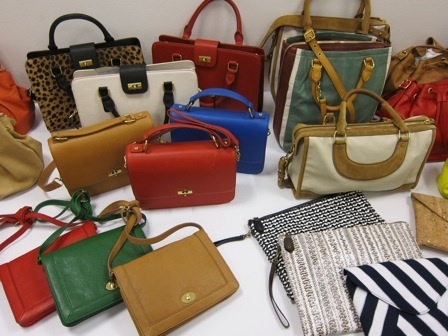 I’ve never splurged on a bag – I usually go for cheapys because I don’t really take care of them. I’d much rather spend more on a great pair of shoes. But these bags really got me excited. Check out the structured leopard print bag! The small satchels are also really cute. I love the red, white, and blue leather bag. It looks nautical/beach club-ish, but the leather makes it more luxurious. I think the oversized patterned clutches are my fave! I love the prints. Are you a shoe girl or a bag girl?